Guadalupe Mountains National Park: Devil's Hall Trail — Dear Summit Supply Co. The dramatic Guadalupe Mountains of rise up out of the Chihuahuan Desert in West Texas, harboring a surprising oasis of greenery in its valleys despite having virtually no water source. But the contrast between what these mountains are today and their beginning, eons ago, is a bit ironic. These rocky peaks were once a massive coral reef, teeming with marine life and cutting across a prehistoric inland sea. Even today, Guadalupe Mountains National Park is a favorite spot for geologists to study the limestone layers of this reef that once was. 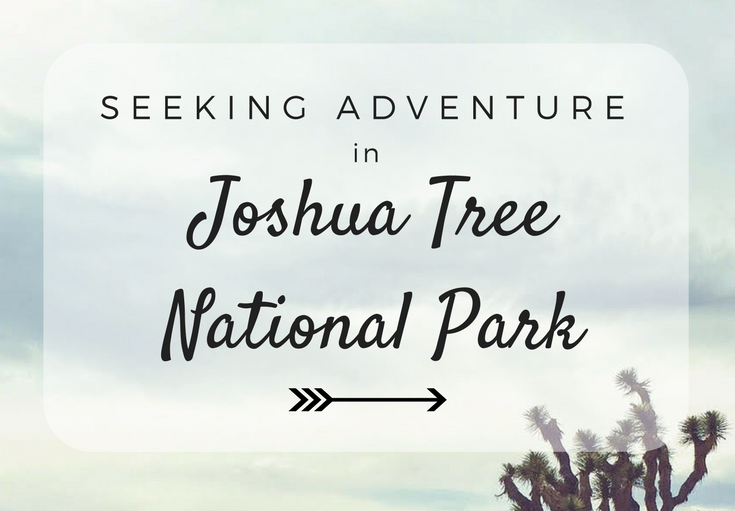 My husband and I just moved from Arkansas to California, so we wanted to break up the long drive by stopping at a national park or two, and we decided to head to Guadalupe Mountains National Park. We hadn’t even heard of this park until a week before we left Arkansas, which isn’t terribly surprising because it is the tenth-least visited of the 58 US National Parks. We only had about half of a day to explore, so we chose the relatively short 4.2-mile Devil’s Hall trail. It was a stunning introduction to this hidden gem of a national park. Even as we hiked that day, we were already talking about coming back to camp and tackle some of the longer trails such as the McKittrick Canyon route, and the Guadalupe Peak trail. The ranger at the park’s visitor center told us that the scenery would grow more and more beautiful the farther you trek along the Devil’s Hall trail, and she was absolutely right. The trail starts at the base of Guadalupe Mountain (the highest summit in the state of Texas, at 8,749 feet above sea level), which already inspires a sense of awe at the raw beauty of these rugged peaks and cliffs. The thin dirt track traces through a grassy valley, punctuated by various cacti and these gnarly, twisty trees called Texas madrone trees. Their mangled shape and peeling, striped bark makes them look like they’ve survived some wild weather, and some appeared to have been struck by lightning a time or two. As the trail wound around a corner in this increasingly stunning mountain valley, the grass and cacti give way to more and more trees: desert oak, maple, alligator juniper, and madrone. Something that might surprise you in this desert environment, is the lovely array of vibrant autumn colors these trees displayed. We visited in the last week of October, which is incidentally the best time to see this rare and beautiful display of color in the Guadalupe Mountains. After climbing the Hiker’s Steps, we walked through what felt like some strange and overgrown ancient temple, with cliff walls towering on both sides and floor of flat limestone. It was a short hike from there to the terminus of the trail, Devil’s Hall. This odd slot canyon juts up out of the boulder-strewn floor of the wash, with its thinly layered walls forming a long, straight, and narrow “hall.” The quiet strangeness of this place gave it an eerie vibe; it’s not difficult to imagine why it is called Devil’s Hall. The Devil’s Hall trail is not a loop trail, so we returned the same way we came. The sun sank lower over the mountains to the west as we made our way back toward the trailhead, its rays coloring the mountains, cliffs, and trees with a beautiful golden glow such that the views on hike back were even better than on the way out. The absolute highlight, though, was when we had stopped again at the Hiker’s Steps so I could do a bit of sketching in my journal, and Val spotted a mule deer silhouetted against the sky on a rocky ridge high above us. She was too far away to make a decent photo with my iPhone, but she stopped and stared back at us for a few moments before climbing up and out of view. There’s something about such encounters with wild creatures that makes my heart skip a beat in awe of God’s amazing creation. Though it might be a little out of the way, Guadalupe Mountains National Park should definitely make it onto your National Parks bucket list. This place is an absolute gem and if you're like me, then its lack of popularity is actually a bonus; you won't have to fight your way through a crowd to get the best photos or deal with a constant flow of traffic on the best trails. ➳ Bring all of your supplies and gear with you. The visitor center at Guadalupe Mountains is very small (the smallest I’ve ever seen in a US national park), and they don’t carry much in their gift shop, so don’t plan to buy much in the way of snacks, food, or any gear there. Bring it with you or you will probably have to go without. ➳ Plan on camping in one of the first-come first-served campsites and RV spots in the park. Otherwise there is one inn a half-hour away at the entrance to Carlsbad Caverns National Park, in Whites City, NM, or you’ll have to stay over an hour away in Carlsbad, NM like we did, or even farther away in El Paso, TX. Got any stories, questions, or tips for hiking in Guadalupe Mountains National Park? I’d love to hear them in the comments below! Photos are copyright Deanna Jensen. Please do not use them without permission.